Belkin has released its latest Wemo Mini smart plug. Using built-in WiFi connectivity, it allows you to remotely control your appliance, and it also supports Amazon Alexa. Like the features? Let’s keep checking. 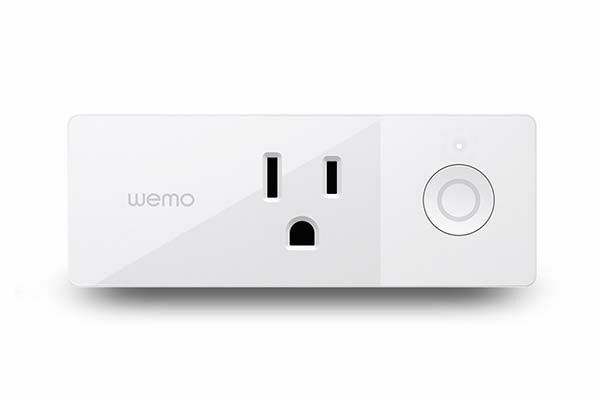 The Wemo Mini is an advanced and versatile smart plug that measures 3.8 x 1.4 x 2.4 inches abs weighs 3.2 ounces. As we can see from the images, the smart plug shows off a compact and minimal design that makes it blend well with various interior decoration styles, and its compact form factor allows it to fit into any electrical outlet without obstructing other sockets. The smart plug comes with a three-prong outlet that works with various appliances like lamps, heaters, fans and more, and using built-in WiFi connectivity, it’s able to join in your local network in order that you can use your smartphone to remotely control your device from anywhere in the world. Meanwhile, using free Wemo app, you can schedule your device based on different situations, and it has the ability to randomize your lights. This means that the smart plug can protect your home from thieves better than a mechanical timer when you’re not at home. Furthermore, the smart plug also supports Amazon Alexa, so you can use your voice to control your devices. In addition, Wemo Mini also works with Nest Thermostat. When you’re home or away, Nest can tell Wemo, so your fan can turn on or off automatically. 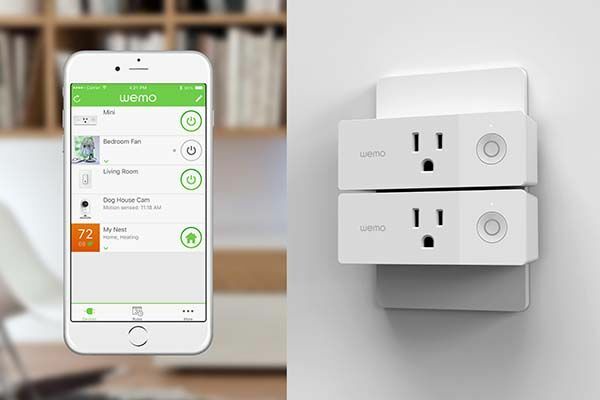 The Wemo Mini is compatible with IFTTT, so you can add more interactions between the smart plug and other devices or applications. Belkin Wemo Mini smart plug has been available for preorder for $34.99 USD. If you’re interested, jump to Belkin Amazon Shopo for its more details. BTW, don’t miss more cool related gadgets by following tags.